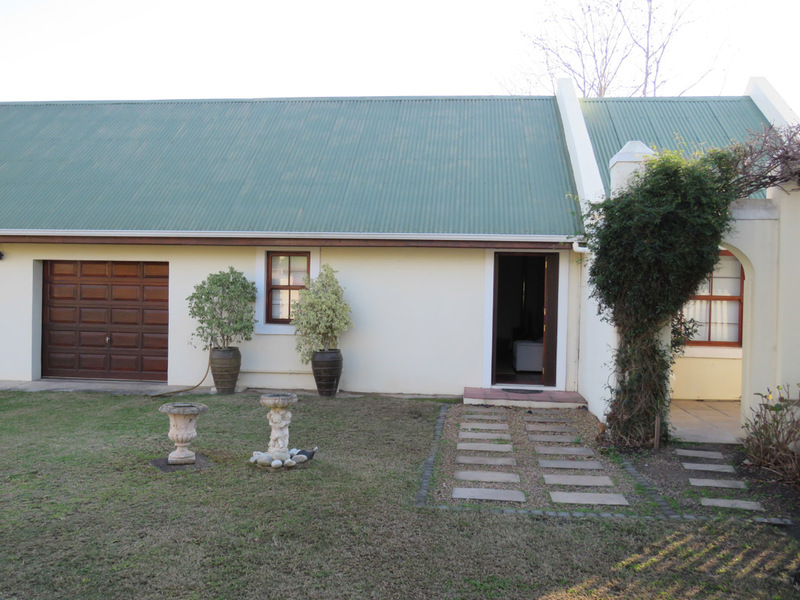 Mountain Lodge is a charming 1 bedroomed garden cottage with stunning Mountain Views, lovely garden with dam and private courtyard with pool suitable for 1 couple. 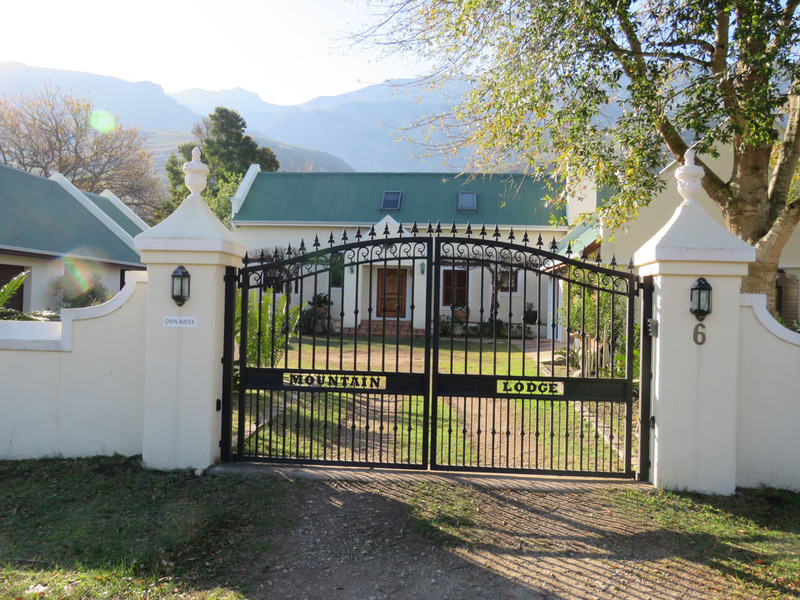 A perfect mountain hide-away for 2 guests. 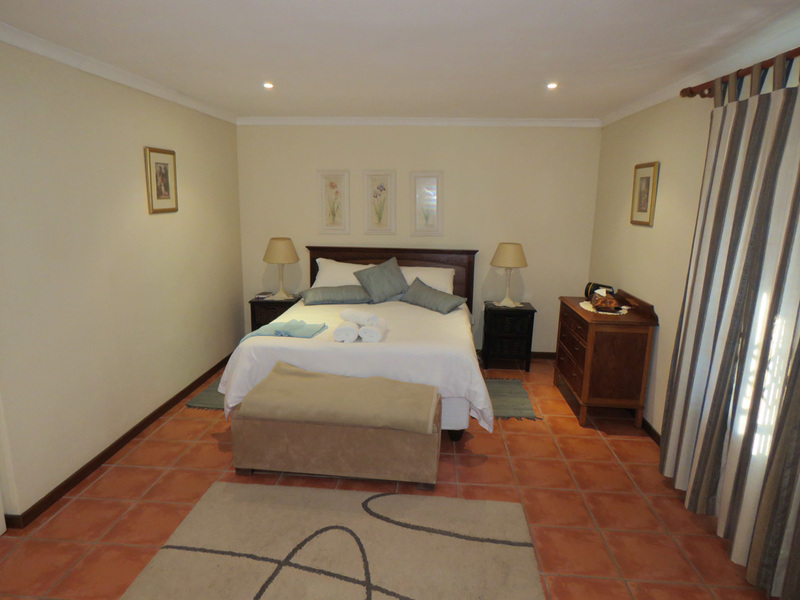 Main bedroom has a Queen Sized bed & a single bed. Linen & towels supplied. Electric Blanket & heater. Not suitable for children, except a baby. Bathroom with bath, shower, basin and toilet. 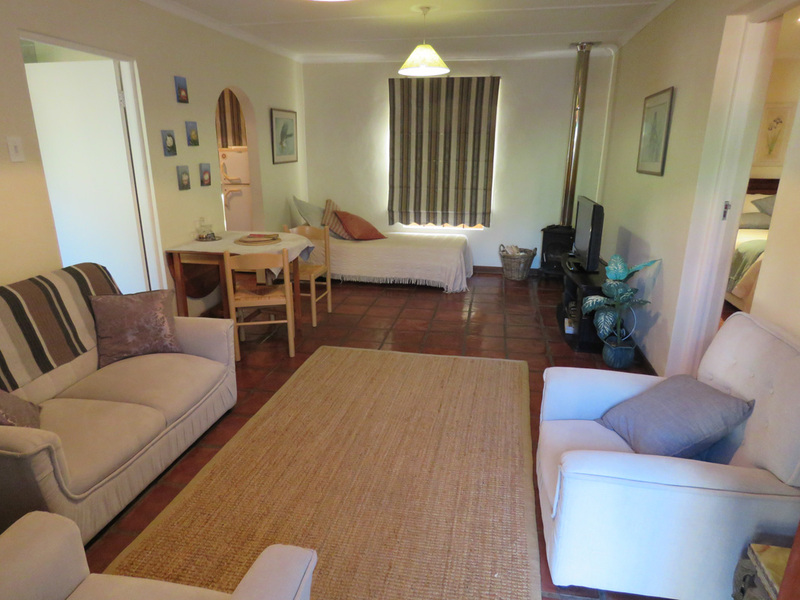 Fully equipped kitchen, outside patio with weber braai, and secure parking on the premises. Lounge and dining room with TV and fireplace.